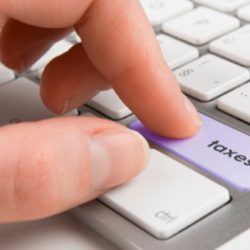 Online Income Tax filing is now truly online, thanks to Income Tax Department. Online Income Tax filing is mandatory if your income is more than 5 lakh during the financial year. Though the tax filing process is referred as Online Income Tax filing, but it is not truly online. Reason being, after Online Income Tax filing, the taxpayer is supposed to send signed ITR-V acknowledgement through Speed Post / Ordinary Post to CPC-Bangalore. I remember standing in a queue for 3 hours to speed post ITR-V acknowledgement. In my opinion, it is not an online Income Tax filing in the true sense. I am filing my returns online from AY 2011-12 even though e-filing was not mandatory that time. All over these years, i used to wonder it will be great if the entire process becomes online. A couple of years back i decided to bypass this painful process of standing in a post office queue. I visited the office of one of the “Digital Signature” provider. As per the process if you digitally sign the income tax return then ITR-V through speed post / Ordinary post is not required. The office executive thought that i am some businessman or a top shot of corporate house who need the digital signature for routine usage. When he asked me why i need “Digital Signature” and i replied for Online Income Tax filing. He can’t stop laughing. He told me why you are wasting Rs 1500 plus. Anyways, as i am early adopter of new technology therefore ignored his comment. Being a typical middle-class Indian, i applied for digital signature on 20th July so that i can use it next year also. Next year, my Online Income Tax filing was completed before 20th July so that i utilized Digital Signature two times i.e. Rs 750 for each usage. After that, i dropped the idea of Digital Signature as it was costly and moreover for KYC i was supposed to physically visit the office. Step 4: Wait for the confirmation from Income Tax Department that your ITR-V Acknowledgement is received. It may take up to 60 days depending on when you sent it. 5. You have to compulsorily send through speed post/ordinary post. As you cannot trust the ordinary post, therefore, read speed post. In short, standing in post office queue is mandatory :). Online Income Tax filing process is not completed till ITR-V acknowledgement is received and accepted by the IT department. You need to keep track of the same and it will be in your to do list for a month or so. After linking Aadhaar to LPG Subsidy and Voter Id, New process is implemented to electronically verify ITR using Aadhaar. A 28: If A 27 is yes, Please provide 12 digit Aadhaar No. Step 2: Tax Payer, will receive the OTP (One Time Password) on his/her registered mobile no in Aadhaar database. This OTP is basically Aadhaar based electronic verification code. This code is unique and consists of string of characters in the form of a locator number. In turn, this locator number will give the unique identity to each ITR form which will indirectly link PAN No, Aadhaar and ITR of taxpayer. This technology can be used in future for Aadhaar based electronic verification for payments, digitally sign electronic documents etc. In layman terms, Aadhaar can be used to digitally sign electronic documents. Step 3: Enter this OTP while Online Income Tax filing when prompted by the system to authenticate the Aadhaar. Step 4: You will receive acknowledgement of successful tax filing on your registered email address and the process is complete. There is no manual intervention required. I never imagined that tax filing will be such a simple process. 1. New Process is not a replacement of the existing process: Existing process, as explained above, will co-exist with the new process. It is not compulsory to file ITR using Aadhaar based electronic verification. 2. If Aadhaar is not available: Don’t worry, either you apply for Aadhaar card or you can still complete Online Income Tax filing using the existing process of physical submission of ITR-V acknowledgement. 3. Update mob in Aadhaar: If you have changed your mobile no recently which is not updated in Aadhaar database then you should update your mobile no in Aadhaar. If mob no is not updated then Online Income Tax filing using aadhaar based electronic verification is not feasible as you will not receive OTP.